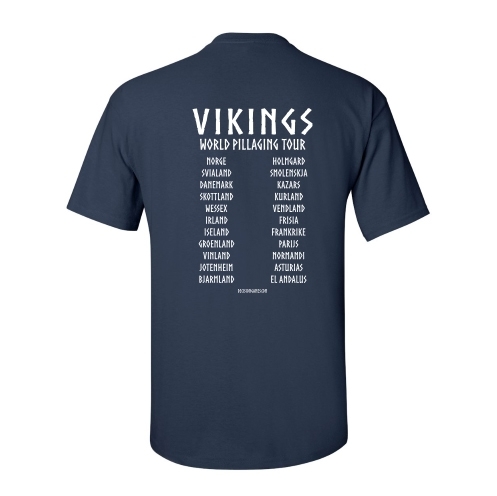 Vikings: World Pillaging Tour. 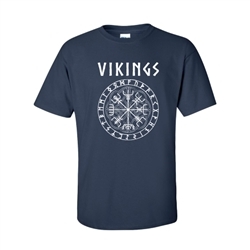 This is a limited edition t-shirt with art from the Decision Games Vikings mini game. It is on a dark blue colored t-shirt, designed by in-house artists Chris Dickson.